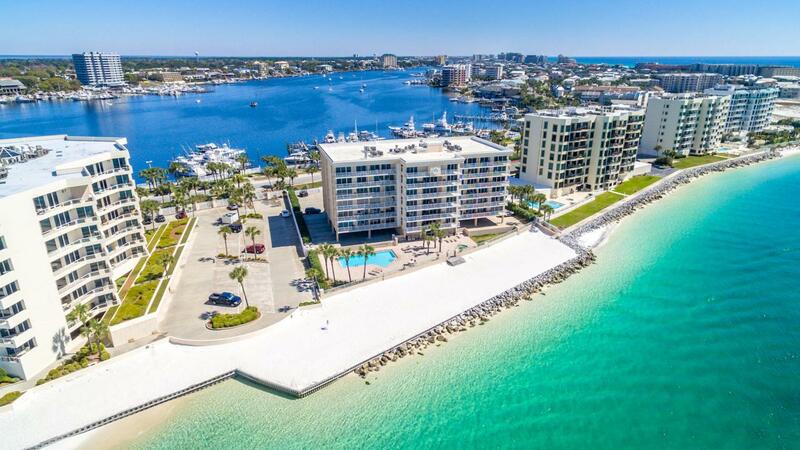 Must see - completely remodeled 3BR unit in gated low rise waterfront complex on Holiday Isle under $450,000! 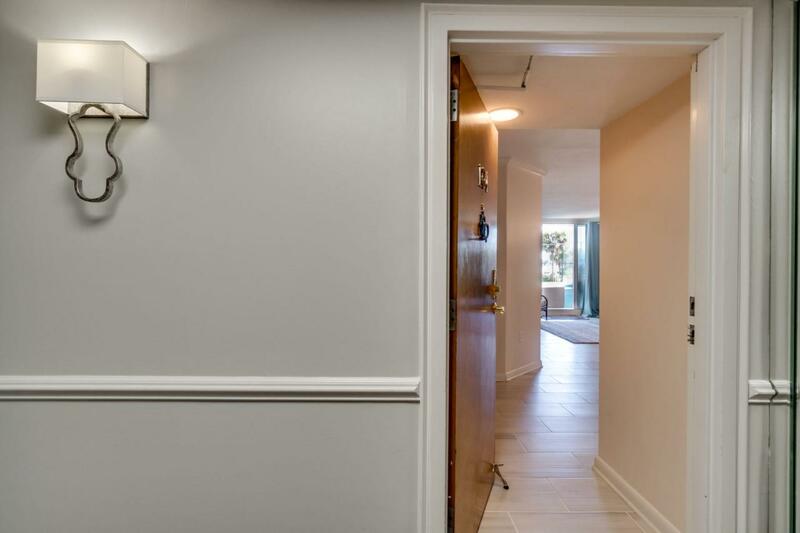 Spacious split floor plan tastefully furnished and decorated with coastal flair features stainless appliances, beautiful jewel toned subway tile backsplash, white quartz counters in kitchen and bath, updated faucets, light fixtures, ceiling fans and much more! Expansive balcony the entire length of the unit is the perfect spot to enjoy the peaceful serenity of sea breezes and harbor lights with friends and family. 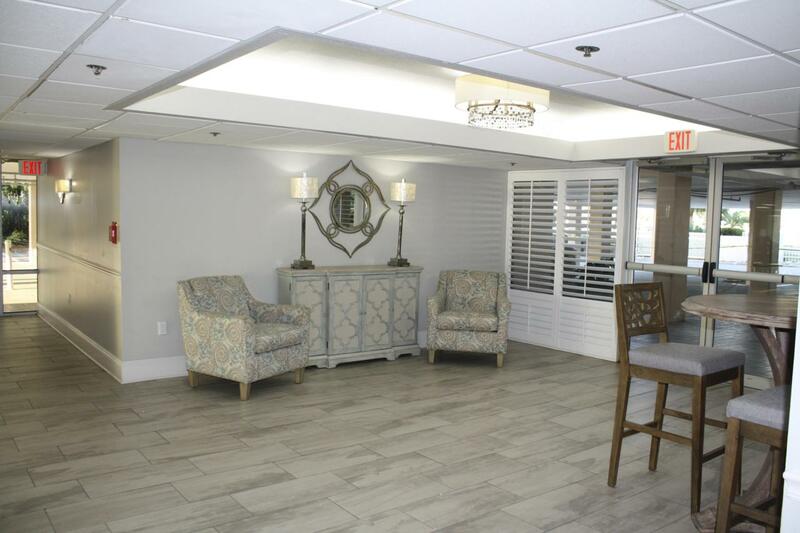 Tennis enthusiasts will love the direct access to the tennis courts. 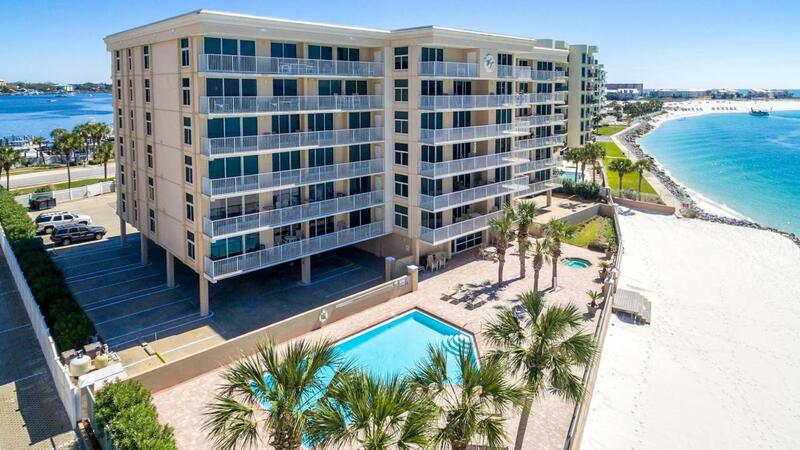 Great location near Norriego Point on the Destin Pass with views of the Destin Harbor and a short walk to the O'Steen public beach access. Views of the Destin Pass from both guest bedrooms.